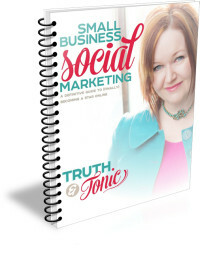 Truth & Tonic – Can You Build A Brand Before You Know What It Is? Can You Build A Brand Before You Know What It Is? No Comments on Can You Build A Brand Before You Know What It Is? It is a common problem business owners have… lack of conviction in their capabilities. It is universal. It is very rare to find someone who is 100% certain all the time in business. That would be like finding a unicorn if you find someone like that. I haven’t yet. But there is a distinction amongst those who lack conviction sometimes (which again, is all of us). That distinction is those who carry forward anyway… and those who don’t. Which are you? On the fence feels safe. But if you stay on the fence, you are holding yourself back from the very experiences you need to clarify what you do, how you do it and for whom. You cannot build a brand being a fence sitter. Sure, there are risks when/if you leap in the wrong direction. But guess what? Once you take the first leap you get to be nimble to navigate those risks quickly and move to clarity faster.